Alex Caputo-Pearl, president of the LA teachers union, UTLA, has been warning for months of “dangers” ahead, imploring his members to dig deeper in their pockets to fight them. He will soon find out if the message resonates among the union’s 35,000 members, now that ballots have gone out, asking for a $19 monthly raise in dues. Ballots were mailed on Jan. 15 and the counting begins on Feb. 10, with an announcement of the results expected shortly after. The call to raise dues — by roughly 30 percent — was announced by Caputo-Pearl during his state of the union speech in August, and he has spent the last several months pushing hard on members by painting the struggles ahead as nothing less than a fight for UTLA’s existence. “Our union is facing an unprecedented web of attacks that threaten the survival of public education and the educator union movement,” he wrote in the September issue of the union newsletter. The threats Caputo-Pearl cites are coming from all directions — local, state and national. Locally, LA Unified is threatening to slash health benefits to teachers as a means to deal with a coming budget deficit, while a massive charter expansion plan could also decimate UTLA’s membership. Statewide, signatures are being gathered for a November ballot initiative that would eliminate defined benefit pensions for new public sector employee. This means new employees would contribute to 401(k) retirement accounts, which are “riskier,” according to UTLA. There is also the pending Vergara v. California appeal that, if upheld, essentially would make it easier to fire teachers and not require seniority to be considered during layoffs, among other blows to teacher job protections. Nationally, the Friedrichs v. CTA, which was argued earlier this month before the U.S. Supreme Court, threatens public unions’ right to collect dues from nonmembers as part of their employment. To make the case for the hike, Caputo-Pearl and his leadership team have pointed out that UTLA members pay low dues compared with other large teacher unions. 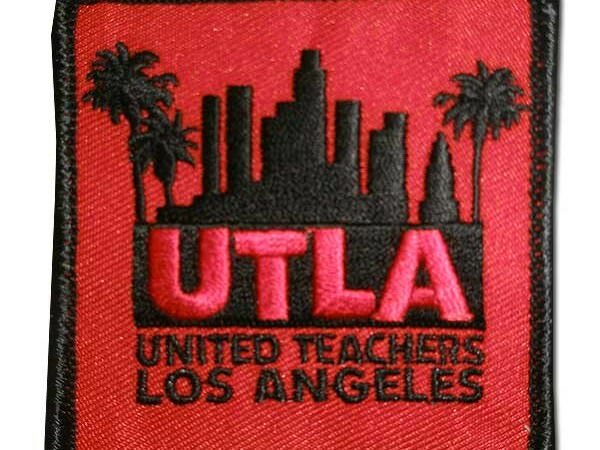 According to the December issue of UTLA’s newsletter, members pay $63 per month, $41 less than New York City teaches pay and $40 less than nearby Pasadena teachers pay.